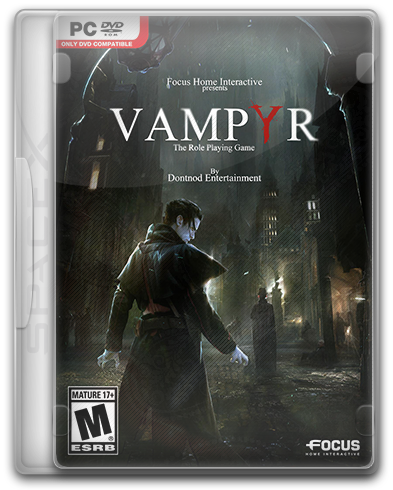 Vampyr is a story about Jonathan Reed. London, 1918. Your name is Jonathan Reed, and you have recently become a vampire. As a doctor, you must find a cure for a terrible epidemic. And being a vampire, you are forced to feed on those whom you swore to heal. Will you handle the monster inside yourself? You have to survive in the fight against vampire hunters, creepy rocks and other supernatural beings. You will have to live with the consequences of your actions ... who will save or doom London. Installation time ~ 15-20 min.